Making cancer feel foolish since 461 CY. 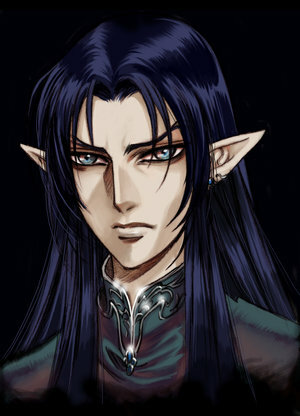 Yan was born in the elven capital of Enstad and was fast-tracked into the arcane order by his magister father. Even as a child, the young elf showed a great deal of intelligence and a knack for evocation magic. Upon graduating from the academy, he set out to explore the rest of the world. He was traveling along a road to Hommlet when he received a sharp blow to the back of his head. When he awoke, he was bound and gagged beneath the voluminous robes of a Servant of the Elder Elemental Eye. Yan managed to break free from his bindings and, with the help of the band of heroes, defeated his captors. Upon quick introductions, Yan was found to be a trustworthy fellow and now travels with the crew in an effort to learn more about the world and defeat the evil that threatens it.